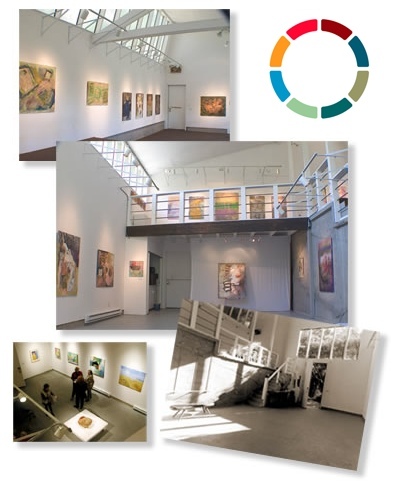 The O’Hanlon Gallery is a nearly-2000 square foot exhibition space on two levels. Exhibitions are intended to reflect our philosophy of exploration, experimentation and artistic growth. We currently present Juried Group shows for 10 or 11 months of the year, including one Member’s only exhibit (usually in January.) See the Call for Entries page for more information. We have limited openings to present artwork of individual artists or private groups. The Gallery is available for use for a fee by application to our Exhibition Committee. The Loft Gallery is a free exhibition space used by Members. All exhibits and shows to be held in the O’Hanlon Gallery are arranged only with the review, consent and authorization of the Exhibition Committee. The Exhibition Committee is responsible for reviewing and scheduling all exhibits. All Proposals for solo or small group exhibitions must include examples of work to be exhibited (i.e., photos or samples of the actual work), and a resume of the artist or other relevant background materials. The Committee meets 3 to 4 times/year. Please contact the office to discuss applying for a show. Exhibitions are usually scheduled one year in advance. Exhibitions in the O’Hanlon Gallery are intended to reflect the O’Hanlon Center for the Arts philosophy of exploration, experimentation and artistic growth. Exhibiting artists are given an opportunity to develop a deeper experience of their work and to present it for public viewing. Exploration and experiential immersion are essential aspects of the work shown. To further this experience, artists may like to schedule lectures, panels, or Artist Dialogues during the exhibit.